We said in our earlier post today how the Mallow brought us all joy, and we wasn’t wrong. Now MUPA TOY have surprised us with a super limited soft vinyl version of Mallow that will be available at Shanghai Toy Show this weekend. 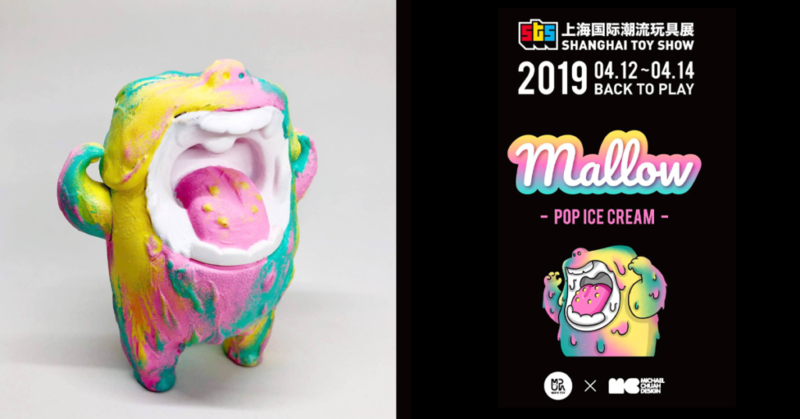 Super limited to THREE pieces, this Pop Ice Cream colourway of Mallow in collaboration with Michael Chuah will be available from STS Booth 23. Priced at 850CNY (about £96) each. We are also hearing that there will be a Popcorn Mallow version at STS too. Limited to 10 pieces and priced at 680CNY (about £77).